24 Jan Press Release: 2018 is WAVES’ 10 year Anniversary in Peru! Surfers have a natural and deep connection with the ocean and the communities that live alongside it. The search for uncrowded surf breaks draws them to remote, developing parts of the world, where they are exposed to environmental issues and struggles unique to each area. 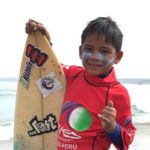 Since 2008, surf nonprofit WAVES for Development has worked to connect the dots, providing traveling surfers with the opportunity to give back to the communities in Central and South America where they visit. Now the charity is broadening its horizons to help current and new initiatives reach donors and potential business partners. 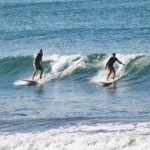 Adaptive Surfing Association: No one should be denied the chance to experience the freedom and therapeutic benefits of surfing. The Adaptive Surfing Association preserves the history and promotes the growth of opportunities for surfers with disabilities from around the world by creating media and resources for participants, volunteers, and interested parties. WAVES will provide an administrative ‘home’ for the association. 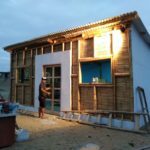 Green Go Solar: Conservation is at the heart of WAVES mission, which makes the 2018 Scorpion Bay Surf & Solar Project an amazing opportunity to live out this ethic. Learn solar basics while learning to surf during a pilot experience this summer in San Juanico, Baja, Mexico. AI for Surf Tourism: WAVES is seeking partners to explore how artificial intelligence can help those interested in impact surf travel experience the perfect trip, based on interests, geography, demographics and more. Surf Parks For Surf Communities: As surf parks continue to spread throughout the world, WAVES is exploring ways surf parks can plug into an infrastructure for giving back and connect with surf communities with natural waves. The aim is to link surf park businesses with local, effective grassroots initiatives and nonprofits to maximize access and impact. WAVES is on the lookout for socially-responsible brands to partner with in the coming years – get in touch with Dave directly at dave@wavesfordevelopment.org. And they always welcome adventurous travelers looking to blend purpose and pleasure. Visit the website wavesfordevelopment.org to make a tax deductible donation that will directly support the mission and learn more about the impact surf experiences. WAVES International believes that surf travel should benefit the people and communities where it happens. They do this through surf trips that give back through small grants, cultural exchange and volunteering. 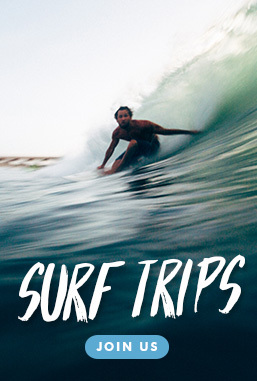 WAVES mission is to inspire world travel and cultural exchange through surf experiences.